George represents clients in all aspects of intellectual property disputes. With 30 years of experience, he offers pragmatic advice aimed at advancing his clients’ business objectives. He develops and implements complex legal strategies for companies in a variety of industries, serving clients as diverse as Amcor Rigid Plastics, Behr Process Corporation, Delta Faucet Company, Emerson Electric Co., Globus Medical Inc. and Under Armour, Inc.
George’s practice includes strategic counseling, IP litigation and due diligence. 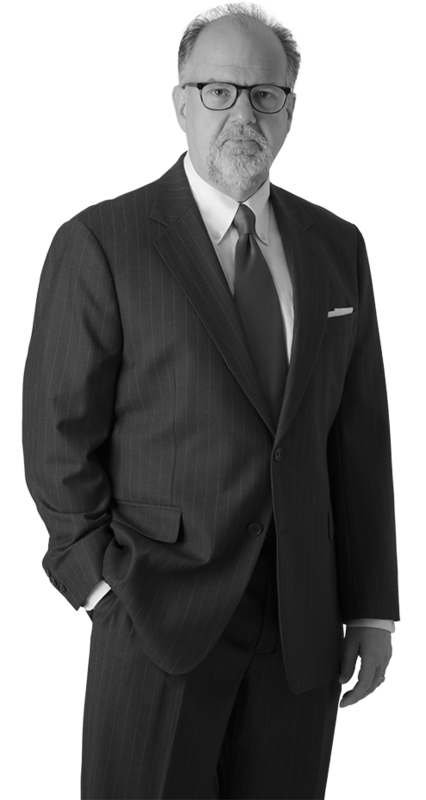 His litigation experience emphasizes the handling of complex patent cases, while he also represents numerous clients in trademark, trade dress, copyright, trade secret, unfair competition, and false advertising matters. He is the chair of the firm’s litigation group and has served as lead counsel on multiple trials before the Patent Trial and Appeal Board. In addition to his practice at Harness Dickey, George is an Adjunct Professor at Michigan State University College of Law where he teaches Advanced Patent Law. George’s experience extends to a broad array of technologies and products, including: computer hardware, firmware, software and systems; telecommunications networks and global positioning systems; optical locating and scanning; medical devices; biologics; hematology controls and testing; sintering of cemented carbides; polymer chemistry and syntheses; ceramics; nutritionals and supplements; gaming and toys; automotive vehicle active seating; drive trains; fuel systems and methods of assembly; design and manufacturing of polyethylene terephthalate containers; and fire suppression systems.